The core idea behind Grrbls was creating the most interesting and everlasting loot system I could. This in no small part was inspired from the likes of the Diablo series, and the Borderland series. I love the feeling finding an ultra rare piece of gear and slapping in on my character and feeling that power bump. Gimme that sweet sweet loot baby! I wanted to create that feeling of finding awesome new gear all the time. The core focus of Grrbls is all based on this loot system. I wanted a loot system that would let you find rarer and rarer gear forever. I didn’t want any level cap. I always believed a level cap was just a way to limit content so you would buy another game. 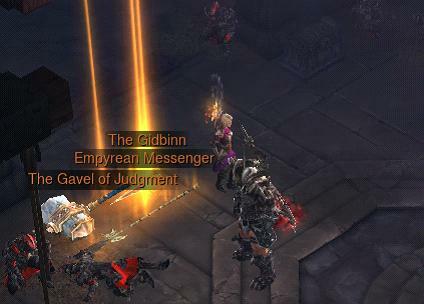 I never understood why games like Diablo couldn’t just go on forever. As I started fleshing out how it would work for Grrbls I was adamant that I would have an endless loot system. This is going to be a game where you could grind forever and always find better and better gear. What I eventually realized was how hard this was actually design because there are many things that just do not scale cleanly. 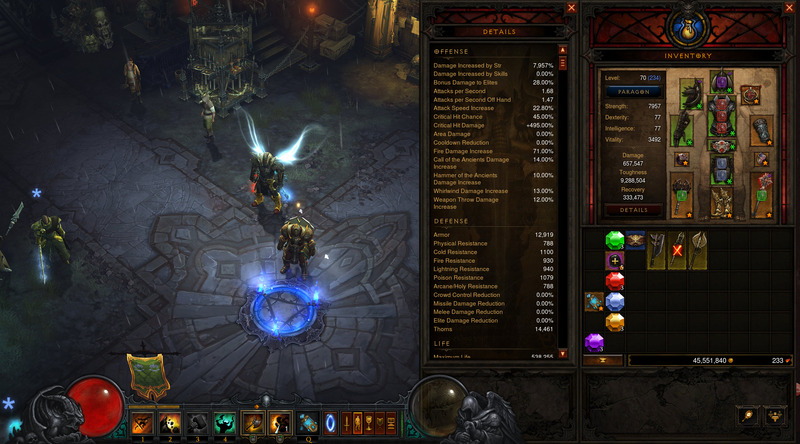 For example, one of many favorite builds is a “Crit Build” where you focus all your gear to maximize your crit chance. That’s great. But what happens when you get to 100%? How can this stat grow? Well you might think you could do “Double Crits” but this is not something that will cleanly scale forever because at a certain point you will have “23 Crits”. And then there’s the crit bonus. If crit bonus scales forever, it would be pointless to focus on non crit builds because you will sooner or later get to 100% and hence the game becomes all about critting. This is one of many stats and mechanics I found did not easily “scale forever”. One of the reasons I had to design so many prototypes and rewrite my GDD (Game Design Document) so many times is that mechanics were not scaling, playing well together, or otherwise not working in a cohesive manner to support an endless loot system. Scaling stats was only one hurdle however. Another big issue I soon found was redundancy. As I started to design rarer tiers of loot I often found that rarer gear was just “better” and made more common gear pointless. I wanted to have many tiers of rarity and then another sub-tier of rarity called “Editions”. The problem becomes that once you find enough rare gear at a certain level, only the next level of rarity matters to you. As a result, loot grinding becomes more “pure grind” as harder gear takes longer to find and you aren’t getting that “YES!” feeling along the way. I really did not want this behavior and I have spent long time trying to tackle how to solve this. I wanted Grrbls to be a constant stream of feeling good for finding new great loot and not getting stale because you found the best already. Another issue with scaling is the numbers themselves. At first I tried making all my effects be only number based (no % values) but I found this was too tedious and using % values could be advantageous to making things more understandable (especially crit chances). It is a lot easier to let your attack number go up forever if its just a plain number, but if you have scaling values, those can get exponentially out of control and doing the math on that for a player get’s a little crazy (what effect will 4575% bonus damage mean?). This has been a huge design issue for me to tackle. I have a lot of ways I’ve designed this endless loot system to accommodate these (and more) problems I’ve mentioned, but only time will tell if actually works. One of the ways I am mitigating stats that don’t scale forever is by using zones and ranks. Each Zone and Rank are tied to each other. So if you are in Zone 3 you can only use Rank 3 gear or lower, but if you use lower Rank gear, it suffers a penalty. So say you had a Rank 2 Helmet and it gives you a 50% chance to crit. In Zone 3 this would become only 25%. I like this approach because it gives finding better gear a great meaning within a Zone, and when you are ready for the next zone, having better gear will help you at least tackle the lower end challenges knowing that your current gear is now out of date. I also like how this gives a perpetual need to always find new gear, but also giving value to the old great gear you found. It’s also worth mentioning that I intend to have special challenges in each Zone so your “old gear” will still serve a purpose for you to go back and complete those harder challenges (because you will want those rewards moving forward!). It was not easy, its not done, but I do think Grrbls is on track to be an endless loot based system with lots of rarity for gear which will give you interesting builds to make, and always give you a fresh feeling of finding new loot.